The young artist from Novi Sad Minja Mikić, who lives and works in Rome has become an ambassador of the “Novi Sad 2021” today. Minja Mikić visited the Gallery of Matica srpska, on the occasion of 190 years of its foundation, where she met with Director of the Gallery and Vice President of the Arts Council of “Novi Sad 2021”, Tijana Palkovljević -Bugarski, PhD. 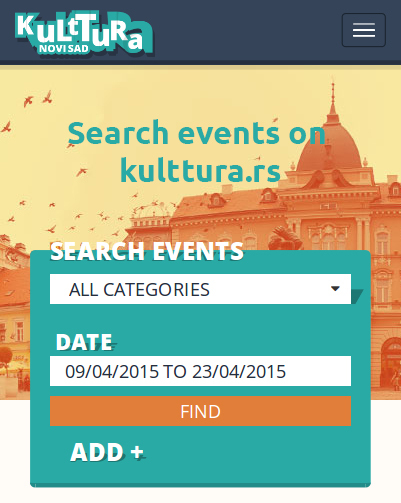 The main topic of discussion was the title of Novi Sad – European Capital of Culture 2021. Considering the opportunities that this title brings, Minja Mikić, who lives and works in Italy, shared her experience when it comes to artistic practices of European capitals with the wholehearted desire to engage in the project “Novi Sad 2021 “. Minja especially emphasized that she is very proud of the fact that precisely Novi Sad, a city where she was born and where she graduated from the Academy of Arts, gained such an important recognition. Her works are exhibited in Rome at the “Galleria della Tartaruga” and “Galleria Edieuropa”, in “MZ Urban Art” in New York, as well as in Zurich gallery “Kunstfokus”. Especially interesting is the fact that works of Minja Mikić, exhibited in a prestigious art space in Rome “Palazzo delle Esposizioni” titled “Soul and body of Italy,” were part of the presentation of the Italian national team at the Olympics in Rio. 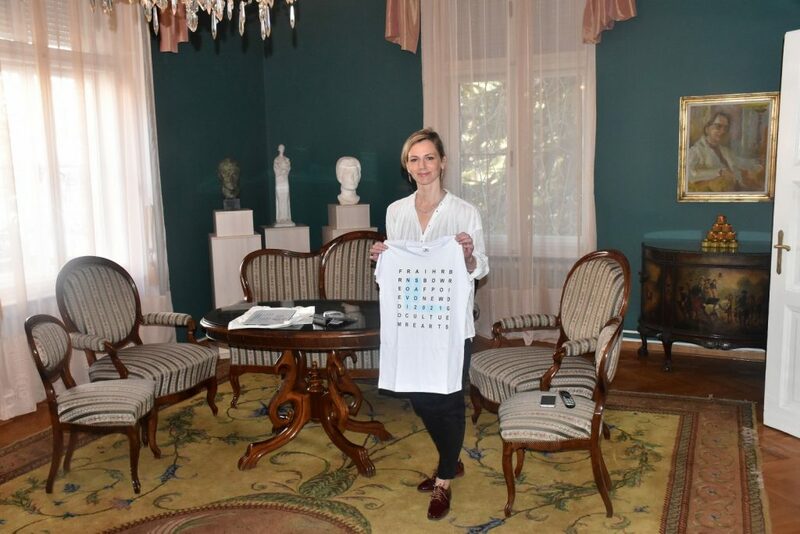 Through symbolic handing of promo shirt “Novi Sad 2021” by the Vice President of the Arts Council of “Novi Sad 2021”, Tijana Palkovljević – Bugarski, the Novi Sad artist Minja Mikić has become an ambassador of Novi Sad- European Capital of Culture. Thus “diplomatic corps” of “Novi Sad 2021” gained the third member, since the title has already been brought by the famous violinist Stefan Milenković and Novi Sad photographer Aleksdandar Milutinović. Soon, on this website, you will be able to read an exclusive interview with our ambassador Minja Mikić.